Two people have been arrested in connection with a video that went viral on social media recently after the results of the bypolls in Uttar Pradesh and Bihar. The video purportedly showed three men shouting anti-India and pro-Pakistan slogans in Araria in Bihar, according to media reports. The arrested persons have been identified as Sultan Aazmi and Shehjad. 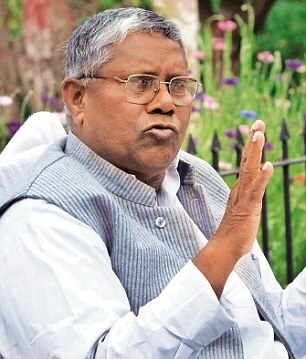 Both are neighbours of the newly elected RJD MP Sarfaraz Alam in his village in Araria, Zee News reported. Soon after Alam’s victory, a video had gone viral on social media where people were seen shouting slogans which were pro-Pakistan, India Today reported. A sou-motu FIR was lodged by the SHO of Araria Dipankar Shri Gyan after taking cognizance of the matter. The BJP candidate Pradeep Kumar Singh too sought an FIR into the case, the report added. Locals on Thursday took out a rally demanding action against the persons raising anti-national slogans, ANI reported. In the by-election to the Araria seat, the RJD dealt a blow to the ruling BJP-Janata Dal(United) coalition with its candidate Sarfaraz Alam defeating BJP’s Pradeep Kumar Singh by over 60,000 votes. Soon after the results, Union Minister Giriraj Singh had stroked a controversy by claiming that Araria will soon became a “hub of terror”. Fact-checking platform Alt News has raised questions over the authenticity of the video. After conducting an audio analysis, the website points that there is no lip-sync between audio and video, and that background noise abruptly stops in some parts of the video.